Turn left on Epoufette Bay Road which is the only road to the south in Epoufette. Turn right at the stop sign at the bottom of the hill on Epoufette Bay Road. This is also called Epoufette Bay Road. 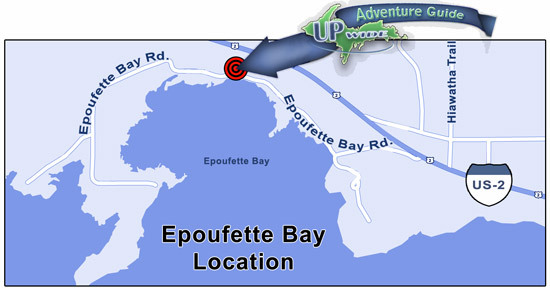 Turn right at first drive past camground for Epoufette Bay activities.